Will I Be Able To Rent An Apartment After I File For Bankruptcy? Yes, you will. Most rental companies will run a credit report after you fill out an application for a rental unit. But the main thing the company will be looking for is whether or not you have a steady source of income. When you file for a Missouri bankruptcy, the unsecured debts that you have (credit cards, medical bills, payday loans, etc.) are generally taken care of by way of a discharge. This means that the court extinguishes these debts forever. As a result, the creditor can never again demand payment from you, and you are no longer obligated to pay on the debt. Once the discharge occurs, and debts are wiped clean from your credit report, you can expect to see a jump of about 20 to 30 points upward on your credit score. Thereafter, it depends on how aggressive you wish to be in reestablishing your credit score. For instance, if you file a St. Louis Chapter 7 bankruptcy, the court provides you with what is called a “fresh start / clean slate.” It is the opportunity to start fresh and clean in life, a chance to start new and move forward with life. So taking out new credit cards, or running new lines of credit, or purchasing a new home or car, are all possible within two years of filing the bankruptcy. With this in mind, getting into a rental apartment (even if part of your bankruptcy involved discharging debt from a past rental agreement) is going to be easier than you might think. In the event that you file a St. Louis Chapter 13 bankruptcy, the court places you under its protective veil for the next three to five years. During this time, it is impossible for any creditor of any stripe to make contact with you. If you seek other housing accommodations while in this kind of bankruptcy, the rental company will be made aware of the fact that you are currently in a repayment plan (a Chapter 13 involves a repayment plan in which you pay back certain creditors). This fact usually makes it easier to get into a rental contract. And of course, the opportunity to eventually purchase your own home will be available once you complete the plan. 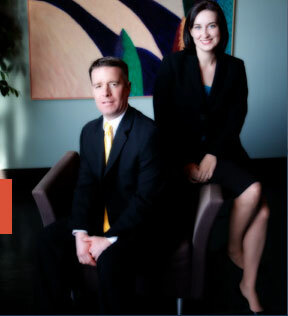 The affordable St. Louis bankruptcy lawyers at Brinkman & Alter, LLC have been making sure that people get back on the road towards financial freedom for years. Our goal is to get rid of your debt permanently, provide you with a chance to move forward in life, and reach your full financial potential. All phone conversations and office consultations are free of charge.